Yesterday, UPS delivered the Elecraft KX3 transceiver kit that I ordered at Hamvention. UPS also delivered an anti-static mat and wrist-strap that I ordered to use while assembling the KX3. I have built plenty of Heathkits in the past and did not need any stinkin' anti-static devices. 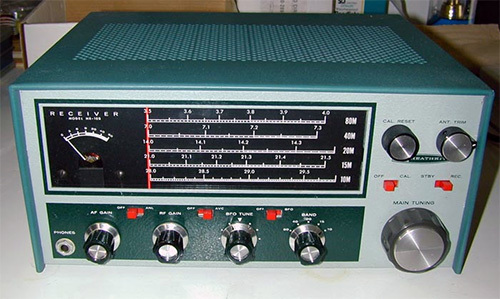 However, the KX3 kit is not your father's Heathkit. The KX3 kit is a no soldering needed kit. Basically, I build the KX3 enclosure and plug-in various preassembled and tested pc boards. Those boards contain sensitive components that may be damaged by Electrostatic Discharge (ESD) simply by touching them, thus the need for the anti-static devices. Last night, I unpacked the box from Elecraft and checked that everything I ordered had been delivered (it had). Then I began reading the kit assembly manual and plan to build the radio this weekend (3 to 4 hours are required to build it).